Did you know that Graffiti existed during the ancient time of Rome or even before longer? That’s right. When the Romans conquered a region, they would write on the buildings of the places they took over. Cavemen also drew graffiti inside their cave walls. They drew pictures and illustrations that represented their everyday life, such as hunting. So, what does Graffiti exactly mean? According to Dictionary.com, Graffiti means markings, as initials, slogans, or drawings, written, spray-painted, or sketched on a sidewalk, wall of a building or public restroom. According to this definition, even the drawings that 6 or 7 years old doodle on the sidewalk can be a form of Graffiti! 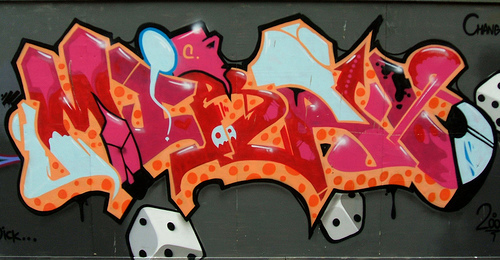 The first Graffiti boom occurred in New York, which is one of the most crowded city in US. 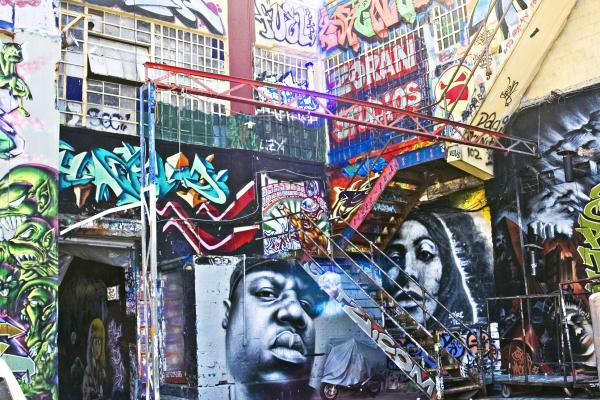 It was easy for Graffiti artists to do their work in New York, because it had busy streets with lots of old, plain walls and there were many places where the artists could draw graffitis without getting into troubles. From New York, graffiti spread out to other states. However, the first graffitis didn’t start out with colorful and vibrant pictures or words. They were just simple as writing one’s name on the wall or gangs marking their territories. 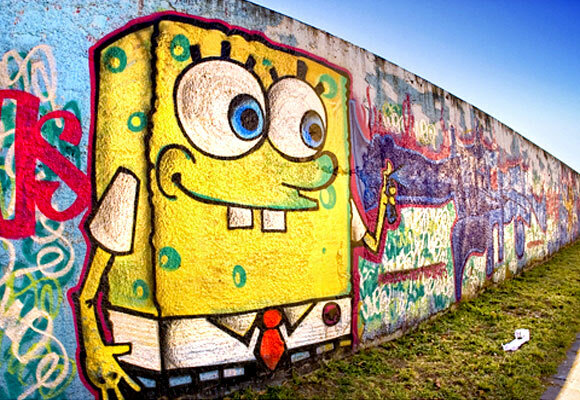 Soon, m any young artists viewed graffiti as a form of art and used it to express themselves. 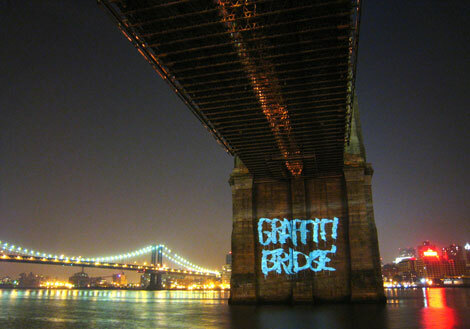 Lee Quinones, one of the famous graffiti artists, changed the dull Brooklyn bridge into a colorful art gallery. Graffiti, which started in subways and streets, quickly became a competition for artists. They had to find a space for their graffiti and usually, this lead to a quarrel between the property owner and the artist. There are many people to t his day, view graffiti as an act of gang activity or disruptive for the community. However, there are increasing number of graffiti artists these days and they try to convince the people that graffiti is another form of art by decorating the community or making a dull place into an more vibrant environment. Here is a video of Japanese Graffiti artists drawing many different pictures. Enjoy!